If you are facing dry well problems you need the help of the experts to resolve it. Dry well repair requires specific expertise and equipment to do it correctly. You can trust our skilled and trained technicians for a thorough examination of the well and the correct dry well repair. Equipped with the right equipment, our technicians are able to provide efficient dry well repair services. We pride ourselves on efficient, professional and affordable dry well repair services. If the dry well on your property is not working properly you will notice water not draining after a storm. Dry wells rely on gravity to work correctly. 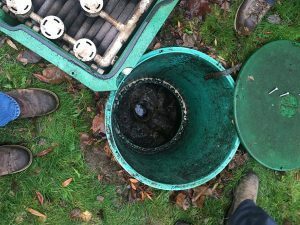 One of the primary causes of dry well problems is blockage caused by leaves and other debris buildup. 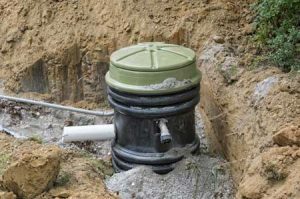 If any debris has clogged the system it will require a professional to repair the dry well system. We pride ourselves in offering affordable dry well services along with the best in customer service. There might be several companies offering services for the resolution of dry well problems in Alderton. However, to ensure that you are getting the best services at the most reasonable prices, you need to compare companies. We are well equipped to deal with all types of dry well problems including the presence of water, chemicals, and debris. We use the best quality equipment and techniques for dry well rejuvenation and dry well repair. Feel free to call Vac-Tec LLC at (253) 777-4887 for any dry well problems in Alderton.